Jan Gardner in the Boston Globe writes a very enjoyable book review of a new book, The Library: A World History, by James W.P. Campbell, with photographs by Will Pryce. Campbell is an architectural historian, and visited libraries around the world. He also covers libraries through history, so the book is a travelogue and a historical guide as well, to great and interesting libraries. The book features quaint, beautiful library features, secret doors, amazing books, wonderful building features and settings. 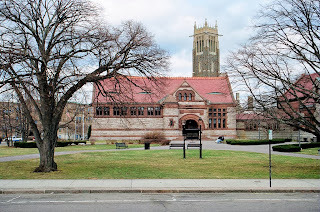 Among the libraries in New England featured that I know are the wonderful Thomas Crane public library in Quincy, which is a beautiful place. The very beautiful old building is, I think, what the book features, but they have added a new addition which skillfully references the style of the original while including a soaring atrium and modern amenities. 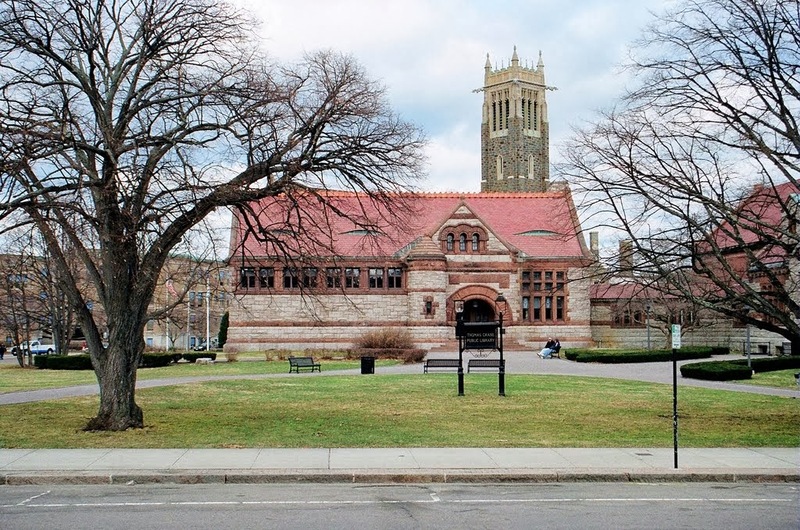 The images above are the Thomas Crane Library, both of the original building. 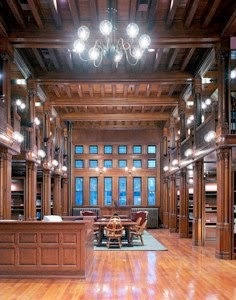 These pictures are from the Crane Library website. 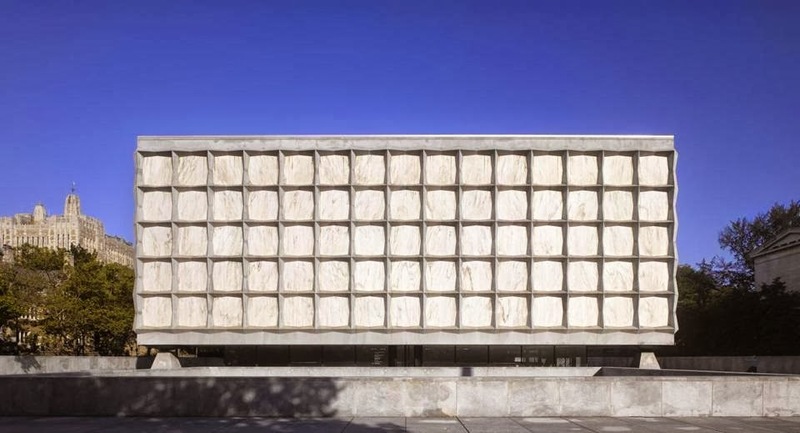 There is also the fabulous Beinecke Rare Books Library at Yale, which is an astounding building. Outside, it it looks almost forbidding with a windowless exterior of Vermont marble slabs held in frames of white concrete. But inside, if it's a sunny day, the light shines through the marble, in a quite astounding way. 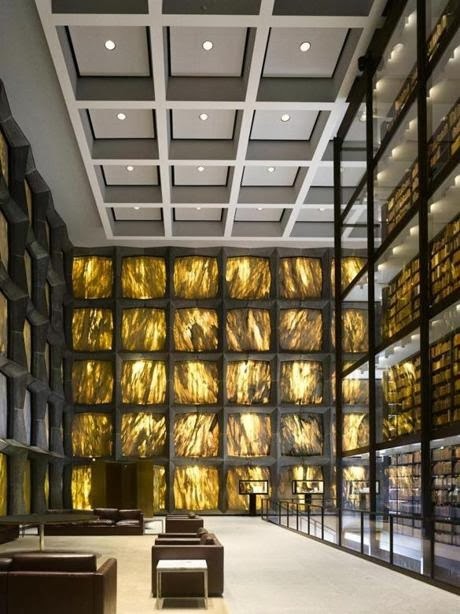 The two images of the Beinecke are from the Globe article and they credit the pictures to Will Pryce, so they must be from the book.